As usual everything takes longer than one plans, especially when you need to juggle a number of different things at the same time. We built a small temporary outdoor run for our pet pig Geordie and he loved being outside in the sunshine. This was to allow me time to build his proper outdoor run and shelter. 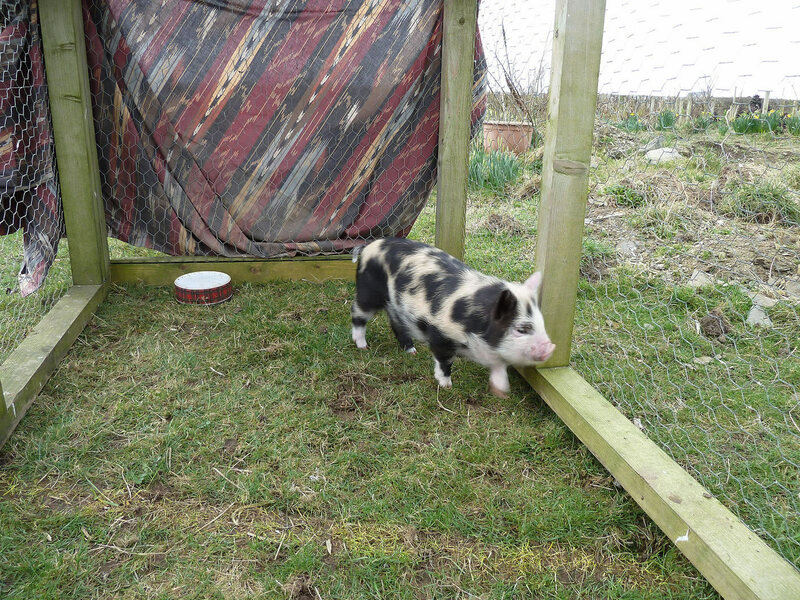 Apologies for the quality of the above picture, I just wanted to show that our 5 week old pig within the temporary run structure we built for him, he does have a fair amount of space to run around and explore. 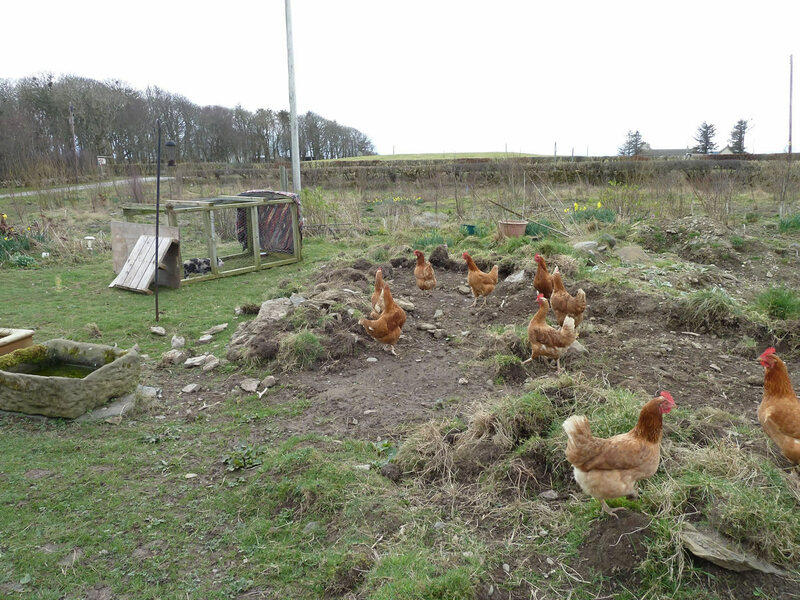 It is not perfect, however this situation was only until I had completed building the outdoor run and pig shelter. Certainly Geordie seemed to enjoy being outside in the sunshine. A note of caution if you are a first time pig keeper, pigs can suffer from sunburn and this can be serious. So always provide shelter from sunshine, and it may also be necessary to put on sun cream over their ears to stop them getting burnt. Having our pet pig outdoors was certainly easier when it came to feeding him. 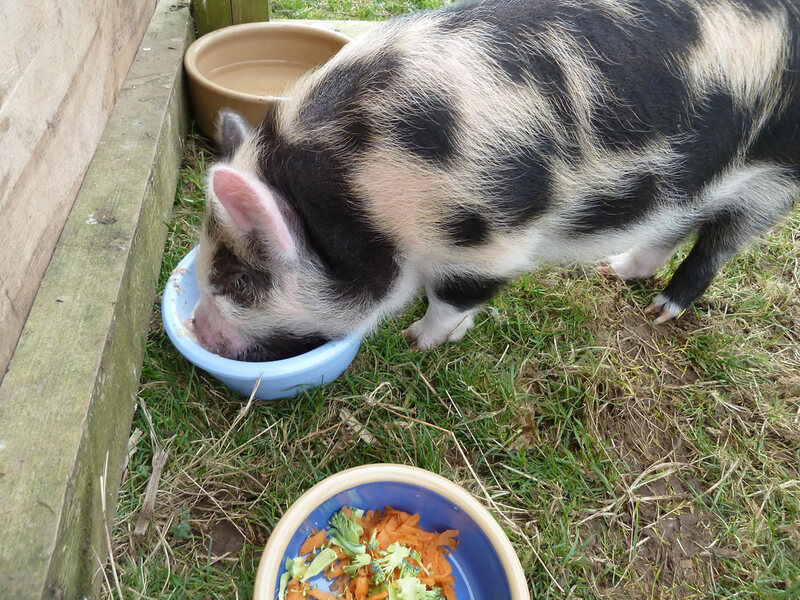 For Kunekune pigs it is important that they are given a balanced diet, using low fat pig food aimed at smaller breeds of pigs, often sold under the term Pot Bellied Pig Food. While Geordie was also getting milk (and weetabix) we also introduced him to fresh fruit and vegetables. 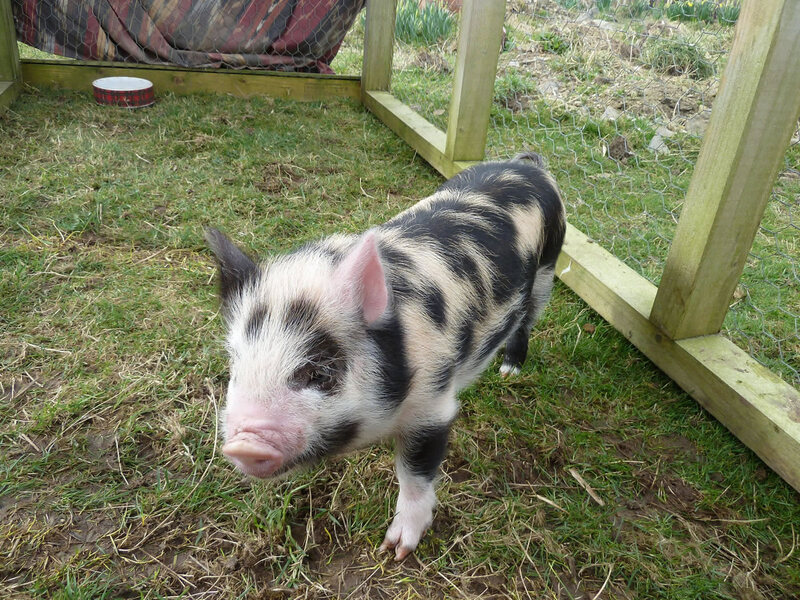 Kunekune pigs are mostly vegetarian - they need access to a plentiful supply of fresh grass to browse on. 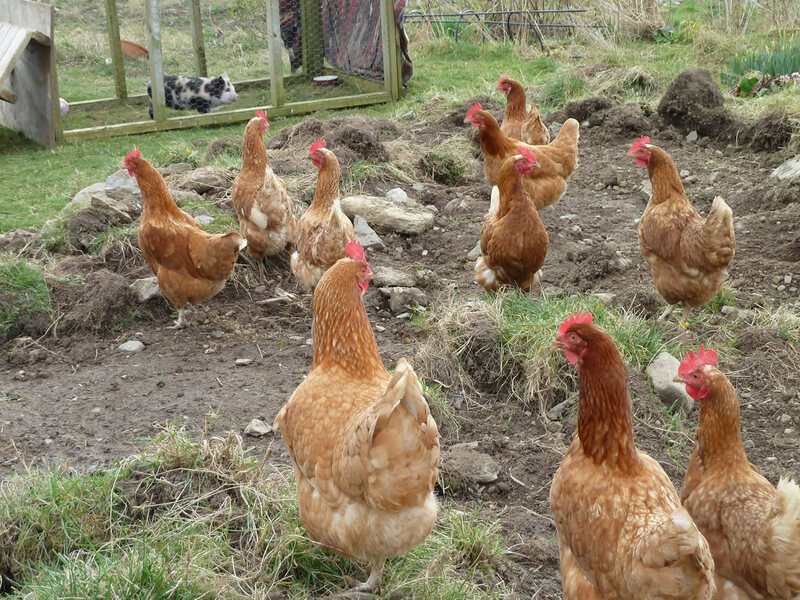 The hybrid hens are not sure what to make of the new arrival on the croft. The chickens are wondering what to do with the new creature that has visited from outer space, they are pondering if they should say hello or not.